During a gathering in the family backyard in New Jersey some years ago, it was demanded that a restaurant be created by the name of Addy’s Barbeque to celebrate the cooking of the current grillmaster. Addy’s wife was not such a big fan of the idea at first, but his wife’s brother was insistent, having enjoyed Addy’s home-cooked food one too many times to let his talent stop there. Eventually his wife came around to the idea as well. But let’s take a few steps back and start from the very beginning of how this new Astoria restaurant came to be. “Addy” is the nickname of Adnan Khan, who grew up in Kenya and lived there into his late teens. Both of his grandfathers went to Kenya from pre-partition India in what is now Pakistan and married Kenyan women. His family has been there ever since. Addy himself went off to India to train to be an accountant, but eventually lived almost 10 years in Ireland, where he trained as a chef. After that, work took him to England, but eventually love brought him to New Jersey. After one short-lived New Jersey-restaurant venture and the passage of another 10 years, that nickname was born in the family backyard. Shortly after that, in 2015, his first Addy’s Barbeque came to life in Teaneck. Besides Ethiopian restaurants, it is surprisingly difficult to find the cuisines of East Africa in and around New York City. Because of that, I was eager to get there after it opened and try Addy’s mishkaki (above), a twist on Kenya’s favorite street food. On that first visit, I had Addy all to myself and was immediately pulled in by his outgoing personality. The food only sealed the deal. For good reason, this restaurant has attracted a loyal following, and Addy looked for other locations in which to expand this year after training another chef to take care of Teaneck. 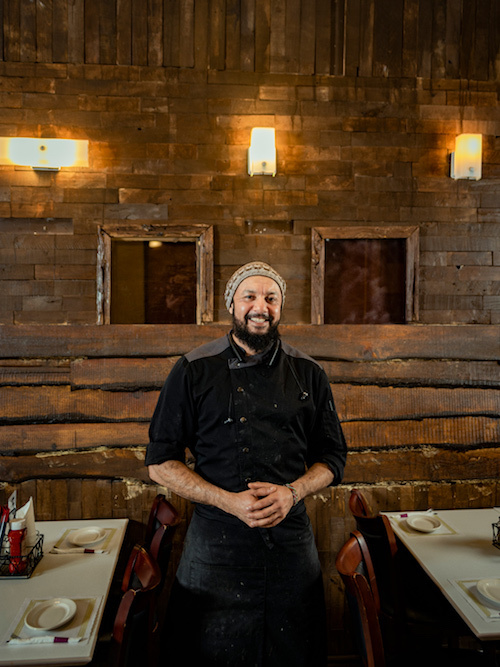 A somewhat circuitous route has landed him in Astoria, just south of the area on Steinway known as Little Egypt that is home to many northern Africans and other Muslims. Filling somewhat of a niche, the draw at Addy’s Barbeque is the food of the United States served under halal standards. There just are not that many places where halal eaters can go for American burgers and barbecue. The appetizers list almost reads like that of a sports bar, with wings and deep-fried favorites, but to really know Addy is to enjoy those burgers. 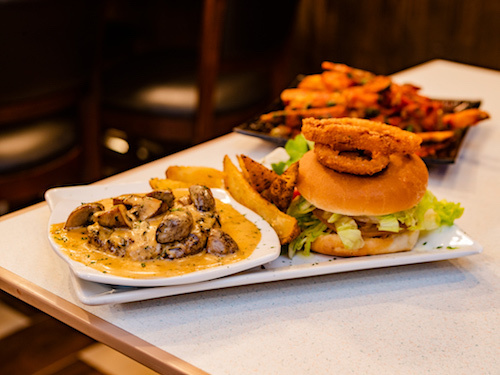 The house burger is called the Amarillo (above) and is served deconstructed, the burger and special mushroom sauce served on a different dish from the rest of the sandwich, to be pieced together by the customer. 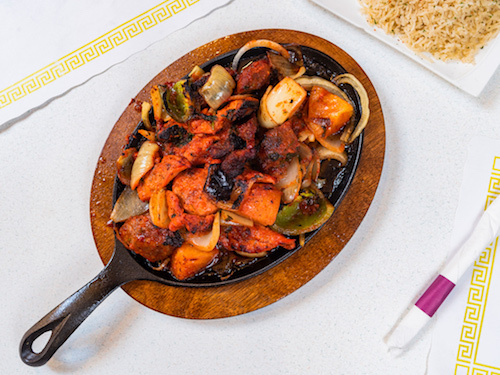 In the BBQ section of the menu, the big draw is the mishkaki, served with chicken, beef or a mix of both. 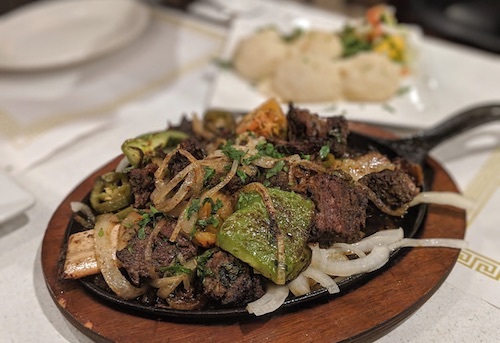 It comes sizzling on an iron plate like an order of Tex-Mex fajitas, something you would never see in Kenya. In its home country, mishkaki comes on a skewer: Cubes of meat, onions and tomatoes are grilled over charcoal. Each vendor has a secret marinade and provides sauces for different customer preferences, and it is typically eaten with some kind of naan bread. Addy was afraid this process would be too complicated for those unfamiliar with the food, and decided to combine everything before serving. Other vestiges of his heritage can be found with the masala fries (above, with burger), dusted in the bright-red spice, and a full range of yogurt lassi drinks (above). Burger purists will not be disappointed to find vanilla, chocolate and strawberry milkshakes on the menu as well. 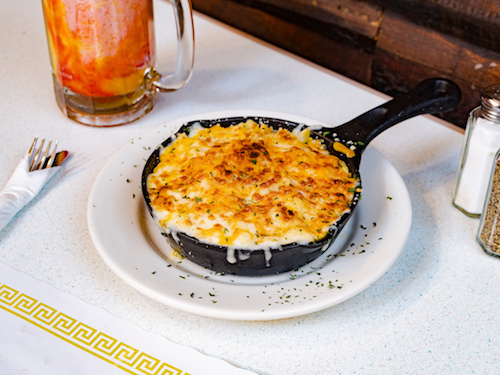 The dishes also veer in other directions including the American South, with an incredible mac ’n’ cheese (above) baked and served in its skillet, and country fried steak and chicken served diner style with mashed potatoes and gravy. This is certainly something not seen on many halal menus around the country. 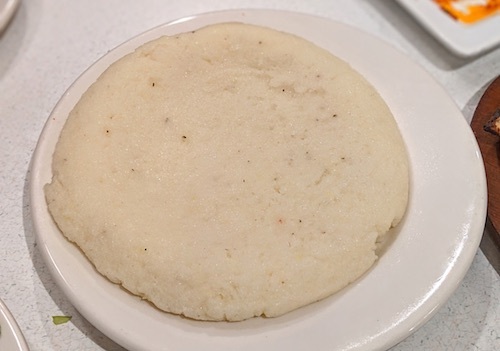 In the future when the customer base is in place, Addy plans to add more Kenyan dishes to the menu like nyama choma, a barbecued meat that would fit right in to the theme; ugali na sukuma wiki, collard greens served with a firm cornmeal porridge; and githeri, a Kenyan staple meal of corn and beans. 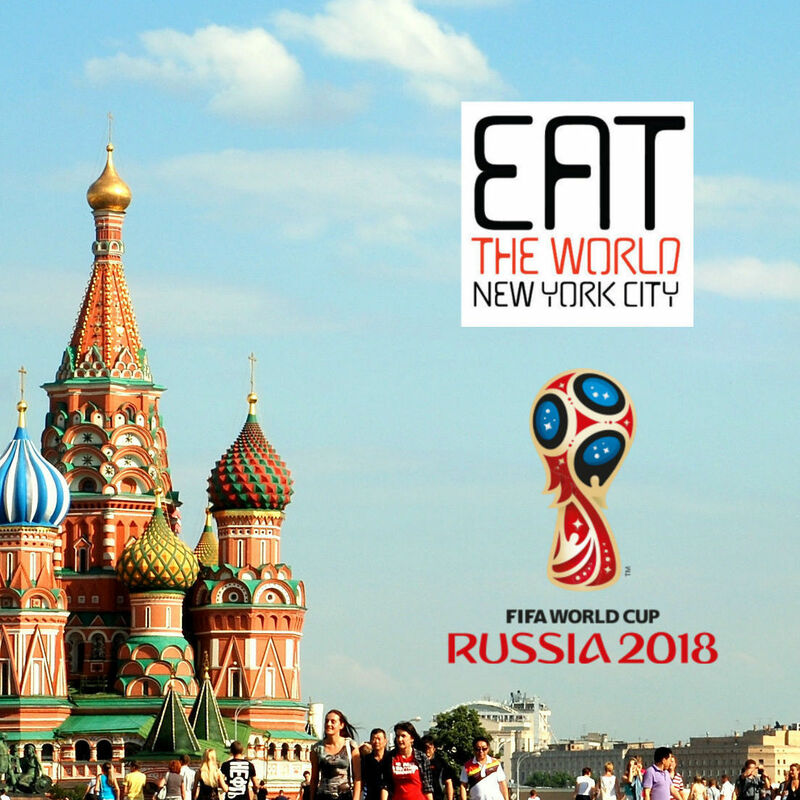 While we wait for these worlds to be opened up to us in New York City, a halal burger stuffed with four cheeses followed by a plate of sizzling mishkaki will do just fine.